At the 44th annual March for Life this past January, Vice President Pence told thousands of eager, dedicated marchers that life is winning again in America. However, the Republican Congress capitulation on Planned Parenthood funding in the latest round of budget talks tells quite a different tale. Under the gun to avoid the closet-dwelling bogeyman of a government shutdown, congressional leadership has reached a last-minute deal that still funds Obamacare subsidies, doesnt allocated border wall funds, and keeps the pipeline of federal dollars flowing to the abortion industrys flagship operation completely untouched, according to POLITICO. There were and are a host of reasons to stand firm  if not for the simple necessity of keeping ones most salient promises, for the various reminders such as a new video about Planned Parenthoods dealings in baby parts or a haunting mountain of colorful baby socks dumped on Capitol Hill. Still, we get: nothing. This debate over the flow of tax dollars to Americas largest abortion provider is, of course, a debate that goes back farther than the 2016 election, as then-Rep. Mike Pence of Indiana led the House to cut the flow in 2011. Furthermore, in addition to the cornucopia of campaign promises and the pro-life political drama during the campaign of fret and worry about whether the presumptive nominee would stand up for the cause of the unborn  despite all the apprehensions to the contrary  abortion became a clear watermark issue during the debates, in which the relatively recent convert to the cause squared off against the tired, second-wave feminist extremism found in Hillary Clintons rhetoric. As recently as a week ago, the Democratic Party itself, in contrast, had the beginnings of a decisive moment it its own history. Tom Perezs statements that pro-lifers do not have a home in the party of Jefferson merely serve as a reminder of how extreme the groups leadership has allowed it to become. Yet, theyve won this hill for now, extremism or no extremism. What this moment shows is that pro-lifers are more and more finding themselves in the midst of a tragic dichotomy, between a party too hostile to their views to entertain them and one that takes their support for granted  even if they dont realize it. But alas, dead babies dont vote, they dont run Fortune 500 companies with the clout to stymie years-long campaign talking points (See: Obamacare repeal), and they definitely dont write checks. All the promises, all the posturing, all the work of the pro-life movement  gone. As this goes forward, pro-lifers who placed their hopes on a Republican Congress  all of whom ran on the most pro-life platform in party history  will be told that there will be some next great hurdle they must cross in order to finally do what theyve been promising for so long. 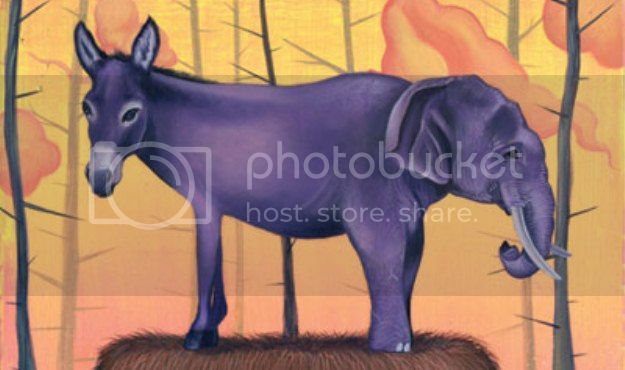 For now, it seems that the Republican Congress has adapted that old Democrat fig leaf in order to pass a budget. They are, after all, personally pro-life, but dont seem to have the gumption, pluck, or will to do anything about that conviction. God knows. He is righteous and just. Eye for an eye, limb for a limb, life for life. Be forewarned current administration. Listen Republicans. The dems are still going to hate you. They’re still going to trash you and call you hitler. So live up to what you claim to be your principles. List past Congressional wins, the ink was not dry and they folded without a fight. Or, put another way, they sold lies to win their elections, then did what they wanted to do. Hillary was right, there are outside the Beltway and inside the Beltway answers. How do we break this cycle? It is not like we can recall our vote, the replacements are likely do the same as the current batch anyway. Besides, too many say support the current ones because they are Republican. Which just perpetuates this BS. hmmm. tagline didn’t show up. LAST past... not List past. FAKE NEWS congressional leadership has reached a last-minute deal that still funds Obamacare subsidies, doesnt allocated border wall funds, and keeps the pipeline of federal dollars flowing to the abortion industrys flagship operation completely untouched, according to POLITICO. SO WHAT....WHEN IT SAYS “PRESIDENT TRUMP HAS REACHED A LAST MINUTE DEAL...” then its important....all this is is trying to keep democrats from giving up on politics and using their donations to buy more cocaine. Look for a record number of dem candidates in 2020. They will all know that whoever wins the primaries is the next president after Ivanka and her fraud vp Pence. Trump doesn’t surprise me. ‘Christians’ like Pence make me vomit. With the stinkin dems cutting ALL pro-lifers from their ranks you would think the stupid republicans would broadcast their pro-life promises and defund these corporate altars of pre-born genocide. I’m going to change my voter registration to the Constitution Party. I will never vote for luke warm Christians again. God forgive me. That’s what I’ve wondered about Ryan, he claims to be pro-life but he helps make these budgets and they’ve been funding planned parenthood for so long. What about Paul, Cruz, Lee, Cotton? And our Representatives? Can’t they sponsor bills to defund Planned Parenthood? I admit I don’t understand how the machinery works on these matters in DC. As for one badmouthing Pence, he is probably one of the most accomplished pro-life politicians in the nation. They just don’t get the fact that legal pre-born (and soon elderly and disabled) genocide is a death knell to every nation that participates. Invasion and conquest. Unlike Israel, America has no covenant with God that America will always exist. Blind and deaf, they are. We have been living on CRs for years. WHAT MAKES ANYONE THINK THERE WILL NOT BE ANOTHER CR IN SEP, NOV, DEC, JAN 2018 YADA YADA on into perpetuity. Continuing Appropriations Resolution, 2015 - a continuing resolution that would fund the federal government of the United States through December 11, 2014 by appropriating $1 trillion. On September 17, 2014, the House voted in Roll Call Vote 509 to pass the bill 319-108. On September 18, 2014, the United States Senate voted in Roll Call Vote 270 to pass the bill 78-22. Making further continuing appropriations for fiscal year 2014 - appropriated funds through January 18, 2014. The government began fiscal year 2013 operating under the Continuing Appropriations Resolution, 2013 (Pub.L. 112175), which provided funding through March 27, 2013. It was signed by President Obama on September 28, 2012. Spending through the end of fiscal year 2013 is authorized by the Consolidated and Further Continuing Appropriations Act, 2013, signed into law by President Obama on March 26, 2013. Beginning in September 2010, Congress passed a series of continuing resolutions to fund the government. 5th Continuing Resolution ("Further Continuing Appropriations Amendments, 2011"), funding through March 18, 2011, passed on March 2, 2011. (Pub.L. 112-4) This resolution cut $4 billion from 2010 spending levels. 6th Continuing Resolution ("Additional Continuing Appropriations Amendments, 2011"), funding through April 8, 2011, passed on March 16, 2011. (Pub.L. 112-6) This resolution cut an additional $6 billion from 2010 spending levels. 7th Continuing Resolution ("Further Additional Continuing Appropriations Amendments, 2011"), funding through April 15, 2011, passed on April 9, 2011. (Pub.L. 112-8) This continuing resolution followed a deal on the full annual budget which was made with just hours remaining before a government shutdown. It itself contains an additional $2 billion in cuts. Democrats had previously rejected a Republican-backed resolution passed by the House before the deal, which would have funded the government for another week and cut an additional $12 billion from 2010 levels. They howl in delight as little baby boys and little baby girls are torn limb from limb. They will rot in hell with Pol Pot and Stalin. Not only do Democrats and the Media hate elected Republicans but now Republican voters hate them too......and we're the voters they count on to get elected! Ask the D.C. GOP if they remember John Boehner and Eric Cantor! We don't give them the big bucks they get from the Open Borders crowd but we do control one thing - our VOTES! I was reminded yesterday of a conversation God had with Abraham. He said that his promised nation would come back to their land but “the iniquity of the Amorite is not yet complete.” Our nation has legalized the abomination of child sacrifice that God never even considered. Our constitution, written for a moral people, has been used to legalize everything God hates. While I fully support Israel; is not abortion available there? I have problems reconciling some of what I hear when people speak of prophecy. They would be wise to read the book of Lamentations. It was written after the judgment of God on Judah and they had been invaded and conquered by the Babylonians. “Surely at the command (mouth) of the LORD it came upon Judah, to remove them from His sight because of the sins of Manasseh, according to all that he had done, and also for the innocent blood which he shed, for he filled Jerusalem with innocent blood; AND THE LORD WOULD NOT FORGIVE. [All caps mine] 2 Kings 24: 3 &4.